After I completed my cable scarf for the Ravellenics, I knew I was hooked... but I wanted to be able to knit something, anything that was not flat and rectangular. So I signed daughter and myself up for knitting lessons at a local yarn shop! 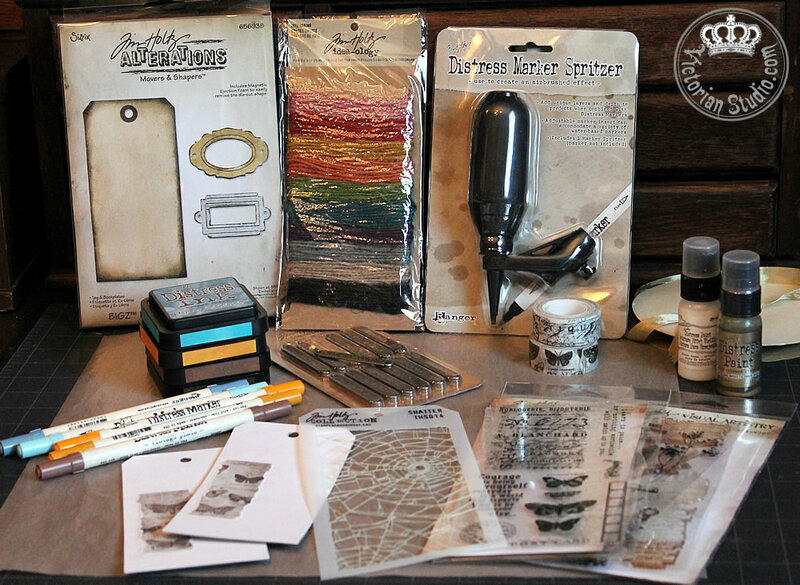 Not only is it great to learn new techniques and work on fun projects (we choose what we want to make and they help you along the way for a month), it is another opportunity for more wonderful Mom and Daughter evenings! 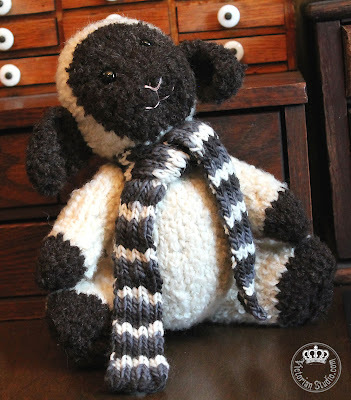 About a week later my stuffed toy lamb was done! 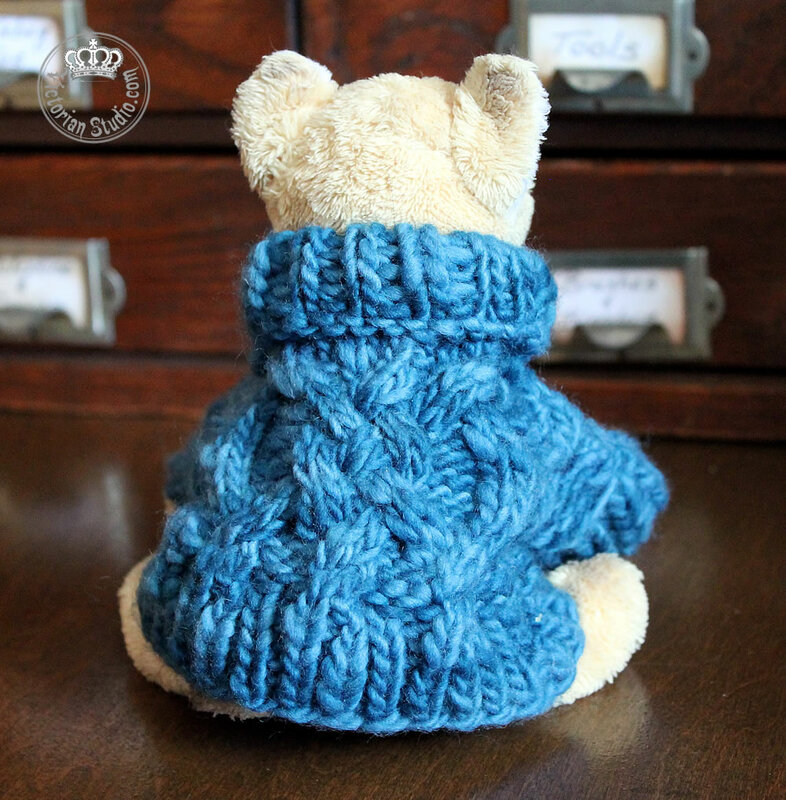 I named him "Woolseley" - a combination of the name of the shop we are taking classes at: Wolseley Wool. They loved that. 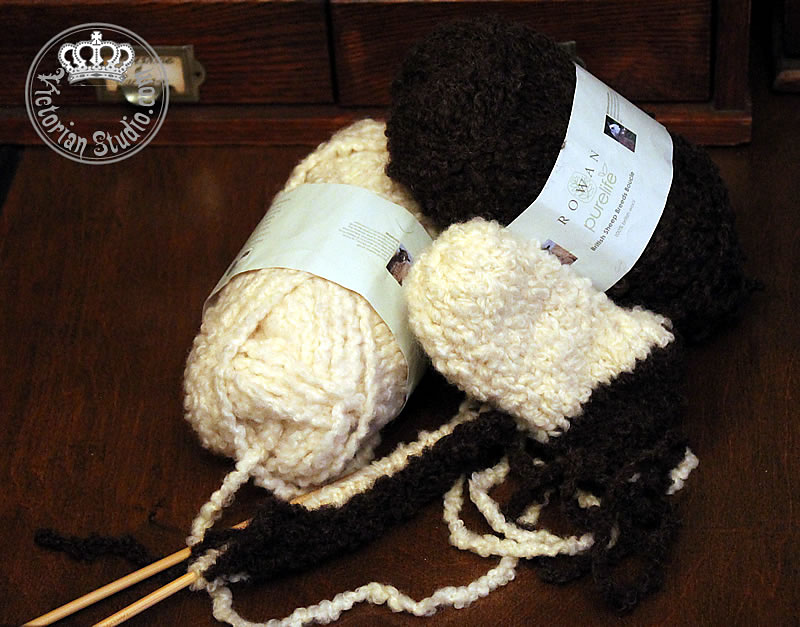 So far I have learned different cast-on methods, new stitches, how to read knitting charts, how to use circular needles, how to change colours and even how to wind a skein of wool from a swift into a cake ready to use! This past Thursday I bravely delved into the world of home-made socks. With one week left, I can get help if (who am I kidding?) WHEN I am stuck. 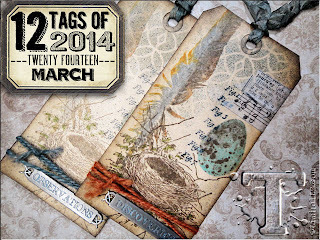 Finally got around to making my March tag! 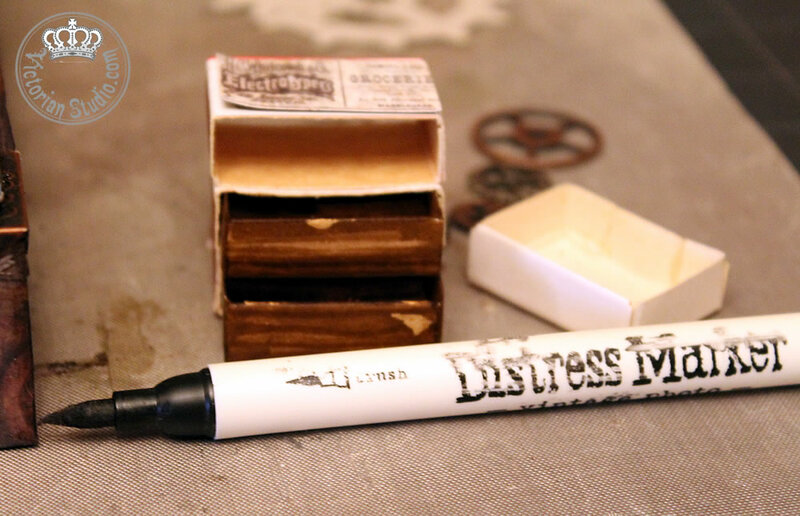 This one I was looking forward to - so I could try out one of Tim's newest tools; the Distress Marker Spritzer. 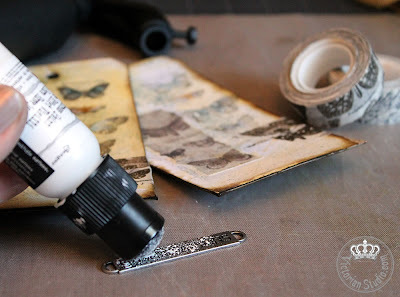 This month's techniques were "Smudge Stamping" and creating two tags; one in bolder colours and the second with the same, but more muted tones. ...and began with two die cut (using Tim's Tag & Bookplates Bigz Die) tags to which I added a torn strip of paper from his Crowded Attic paper stash. 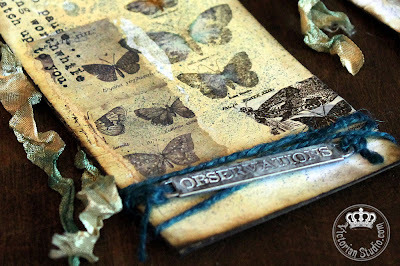 I had both the stamps and tissue tape with the Moths/Butterflies theme, so this is what I chose from his paper line too. Smooching the Wild Honey Distress Ink pad onto my craftsheet, I spritzed it with water using the Mini Mister and swiped the tags through it; first with one and then adding more water to the sheet before swiping the second to make a lighter, softer background tone. The stamp is from the French Memories set by Tim's Stamper's Anonymous line; stamped with both Black Soot and Walnut Stain Distress Ink. 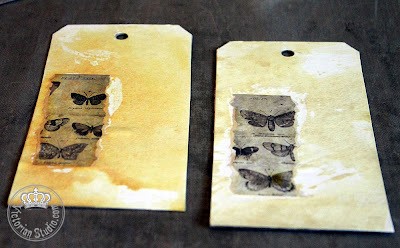 As he instructed, I dabbed the freshly-stamped images with foam to smudge them. I highlighted a few images with Broken China and Wild Honey Distress Markers, using a water brush to blend. After inking the edges with more Walnut Distress Ink, I used Tim's new spritzer to spray Broken China from my Distress Marker through his Shattered Layering Stencil. What an easy way to get a great effect! Next I prepared a saying from his Metal Word Bands Observations by painting with Picket Fence Distress Paint and Broken China Distress Ink. 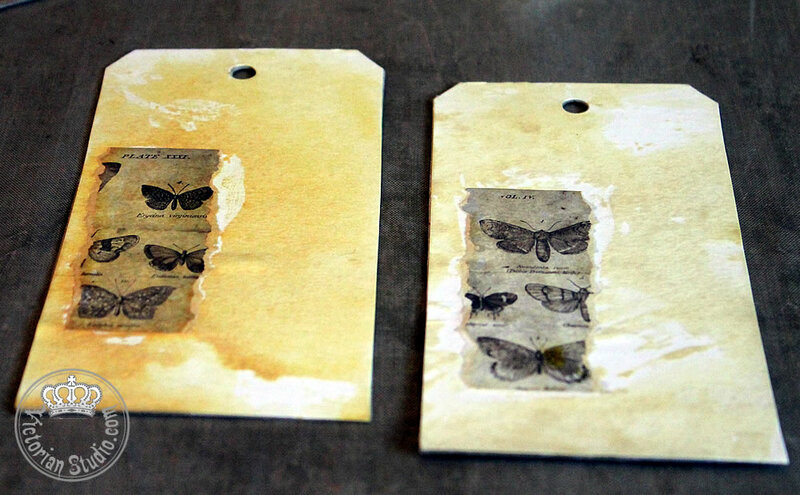 On the second tag, I used one of his rub ons over a chipboard piece, coloured with more Distress Inks. 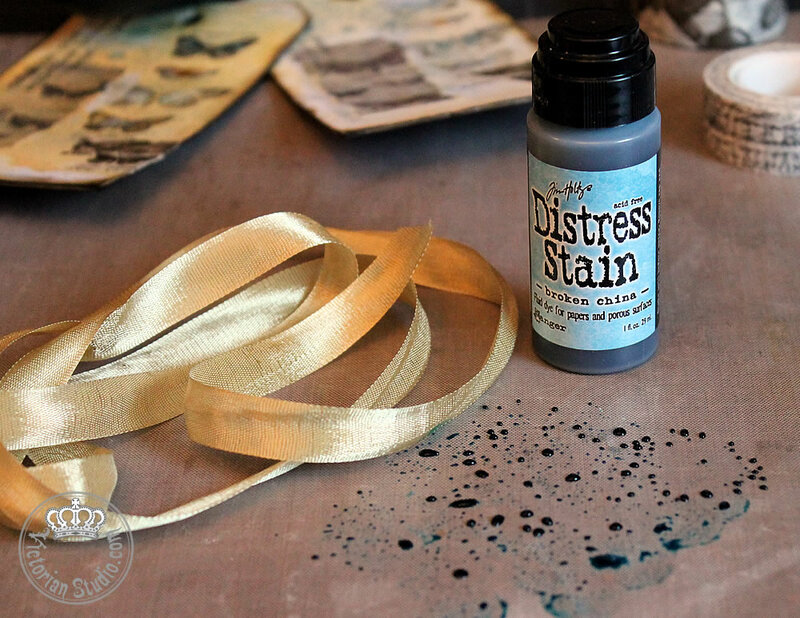 I also used Broken China Distress Stain to colour the seam binding; scrunching it up and dabbing it into the watered-down ink on my craftsheet. I added some Idea-ology Sketchbook Tissue Tape then attached the word band with Tim's Jute string and stapled the second tag's label and wrapped a lighter tone of jute around the bottom. Lastly, the seam binding was threaded through the top holes. I must admit, these came out nicer than I expected! 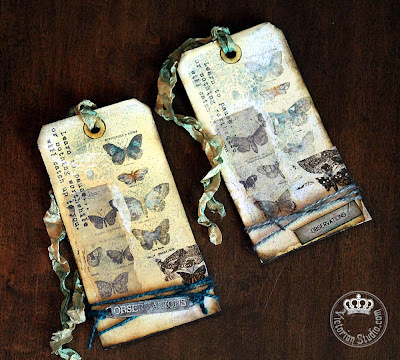 I love the combo of Wild Honey and Broken China colours, the soft smudge stamping effect and the layering of paper, inks and embellishments. 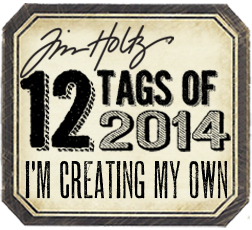 Are you participating in The Twelve Tags of 2014? If so, let me know in the comments so I can come visit you too! 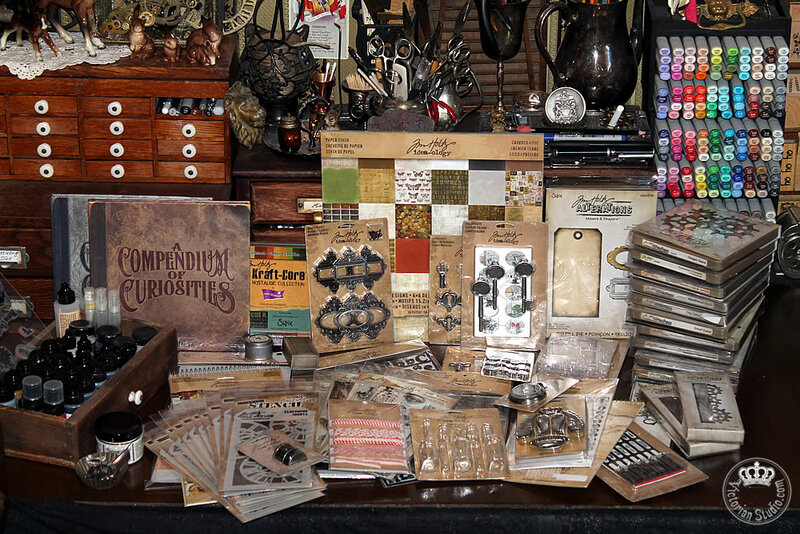 Because I have become so enamored with Graphic 45 papers, staples and embellishments, I have decided to audition for Graphic 45's 2014 Design Team. I love sharing how I create my projects using their beautiful products, so what could be better than doing so on a larger scale? It would be a fantastic opportunity to say the least. So without further ado, here is my Official Audition Post. 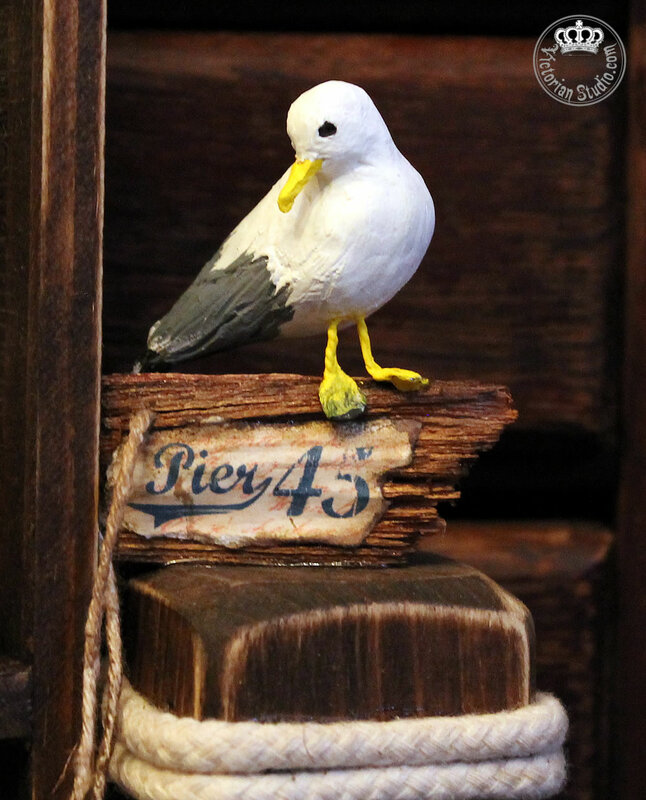 I wanted to begin by revealing my latest project using Graphic 45's newly-released line "By The Sea". Even though I live smack dab in the center of Canada, Manitoba is known as "The Land of 100,000 Lakes" so this paper recalls a time long ago when city dwellers boarded the train for a relaxing day at the beach. After discovering a huge piece of coral at the thrift store last year, I decorated my en-suite bathroom in an aquatic theme. I added seashells and beach glass in various mason jars around the small room... but they were cluttering up the limited counter surface. 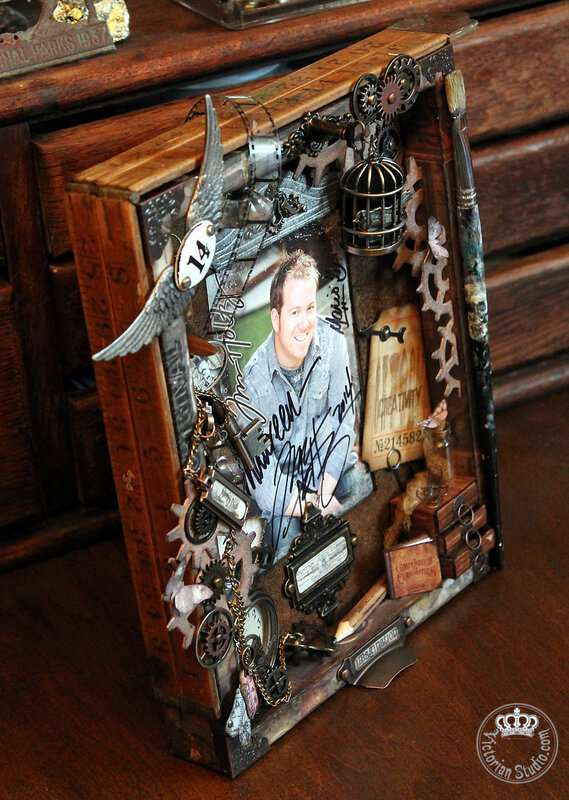 This project is a great way to safely display some of those delicate treasures and frees up precious space as well. I gathered my supplies together, including a wooden baking set I found at Goodwill awhile back. 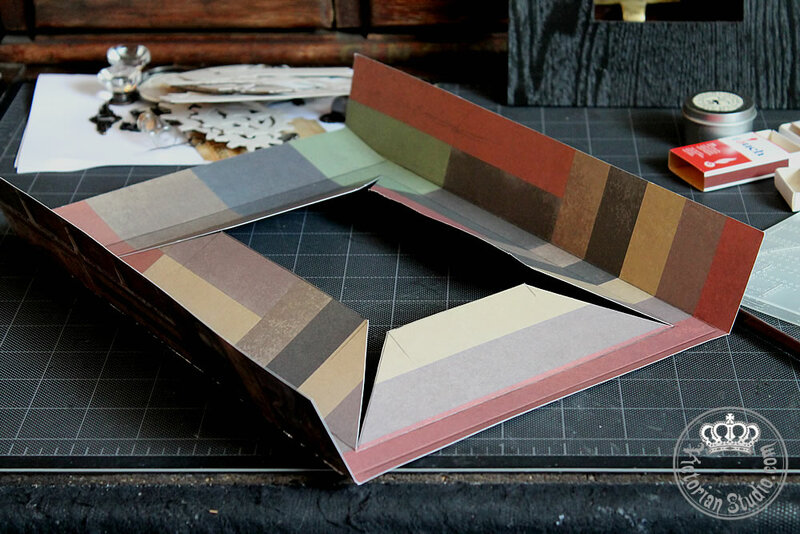 My brand new pad of Graphic 45 By The Sea paper would be perfect for this project! I selected a few trinkets including a brass ship's wheel that used to be a key chain (another thrift store find), a brass double pulley and a metal and glass porthole charm. 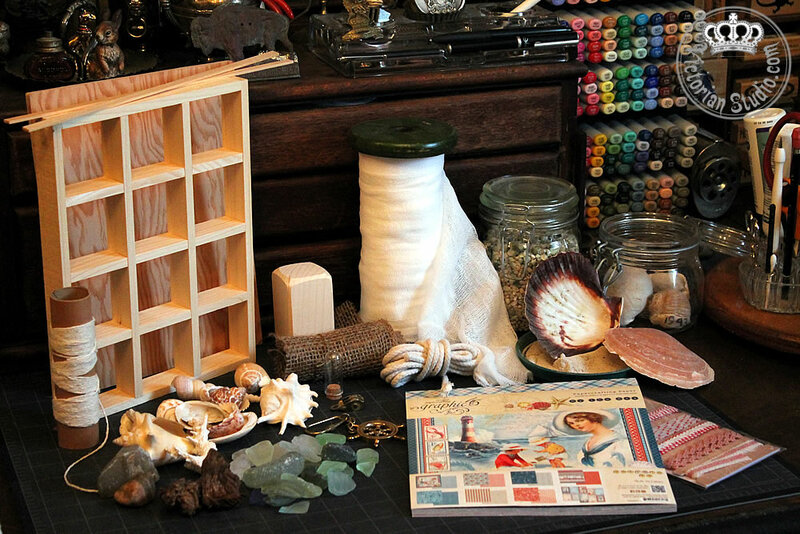 Cheesecloth worked great as a fishing net and sand and aquarium gravel were added to the shelves with shells, coral, driftwood and beach glass. Here are the other projects I have posted about previously for review by the Graphic 45 Design Team Selection Committee. I hope these demonstrate a variety of creations and techniques, my skills and attention to detail. 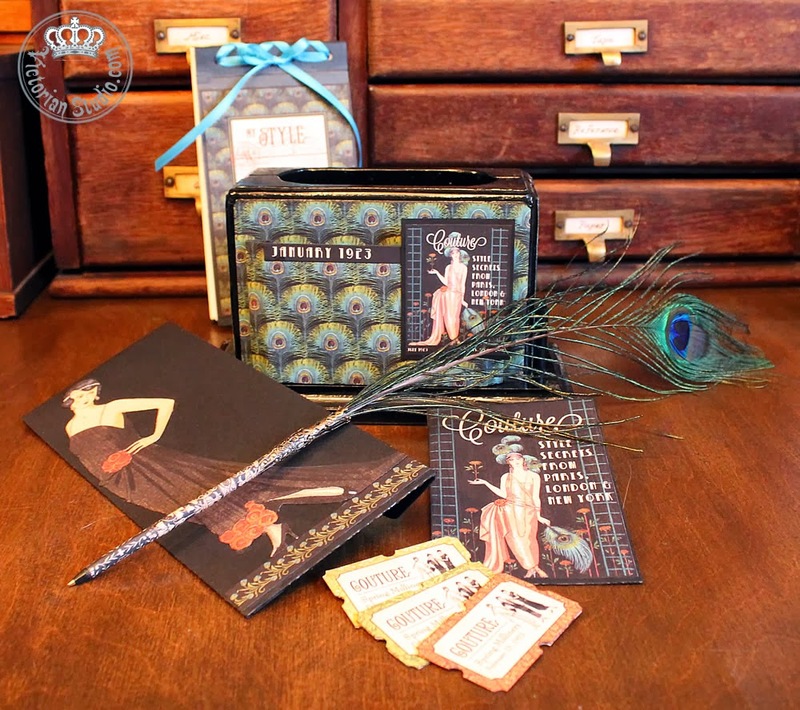 Starting with a thrift-store mystery item, I created a stand, memo pad, envelopes and a peacock feather pen for a desk set fit for the serious fashionista shopper. 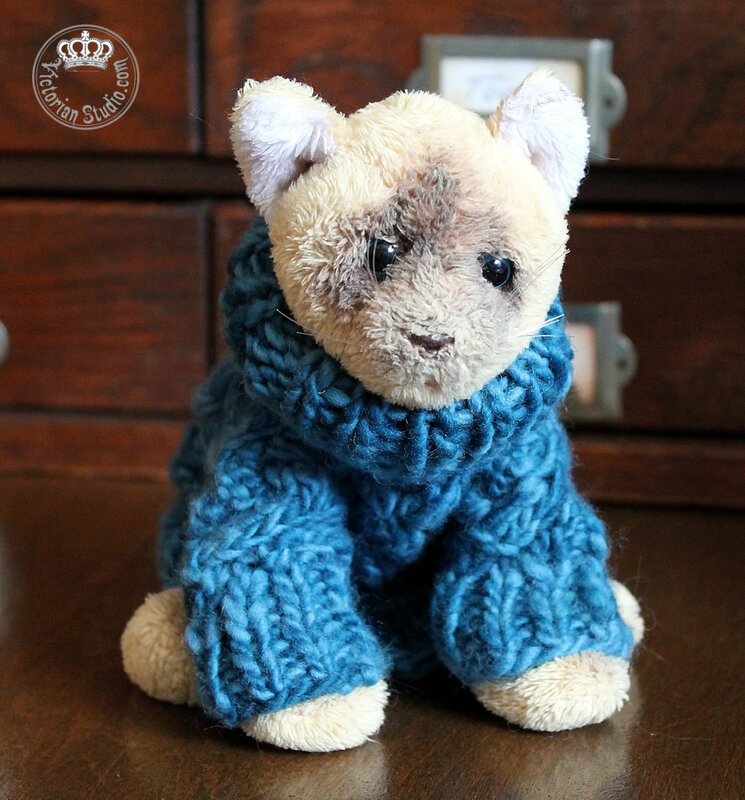 Click for full project details and video. 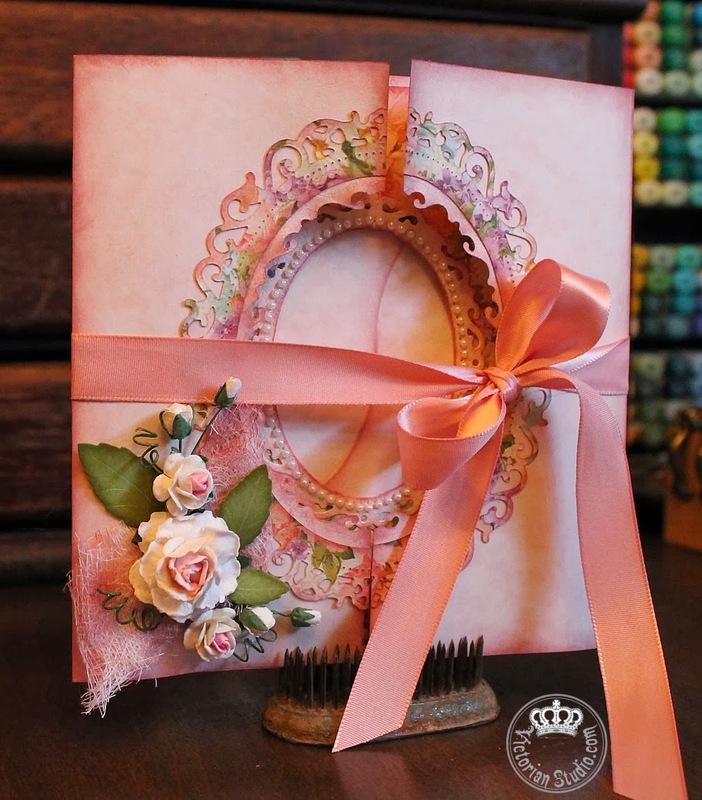 A birthday card with a sweet surprise for my mom, using the lovely Sweet Sentiments paper. Click here for all the details and video. 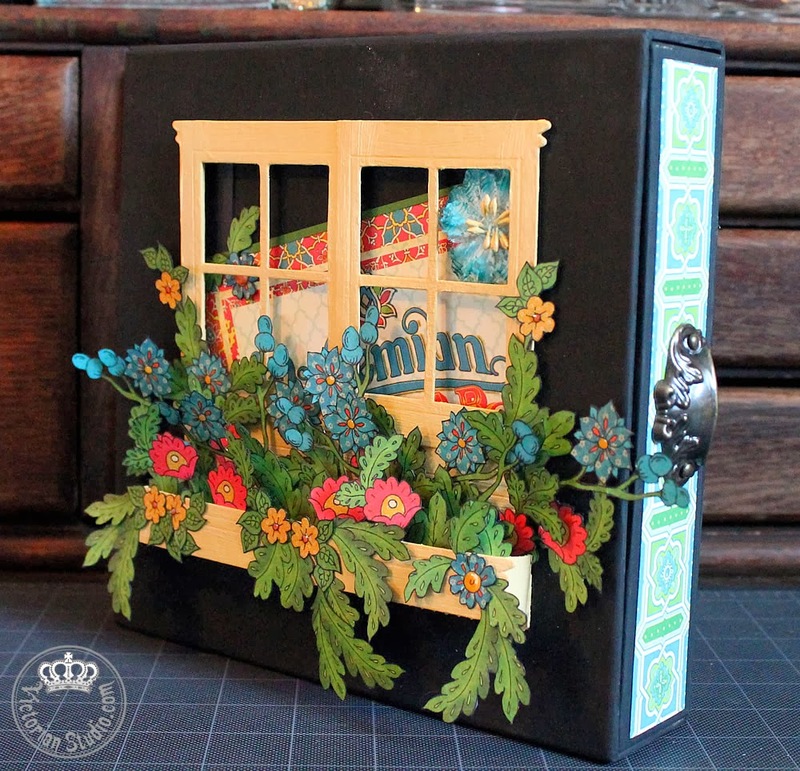 My first project for The Scrapbook Cottage using Graphic 45's 8 x 8 Kraftboard Altered Art Matchbook box, metal door pull and groovy Bohemian Bazaar paper. Click here for the full project details and video. An altered children's book to remind me of all those important deadlines before the big day. Click here for the details: Part One and Part Two with video. My first foray into the awesome world of handmade journals... using the incredible Steampunk Spells paper, natch! Click for the full project details and my first-ever video. 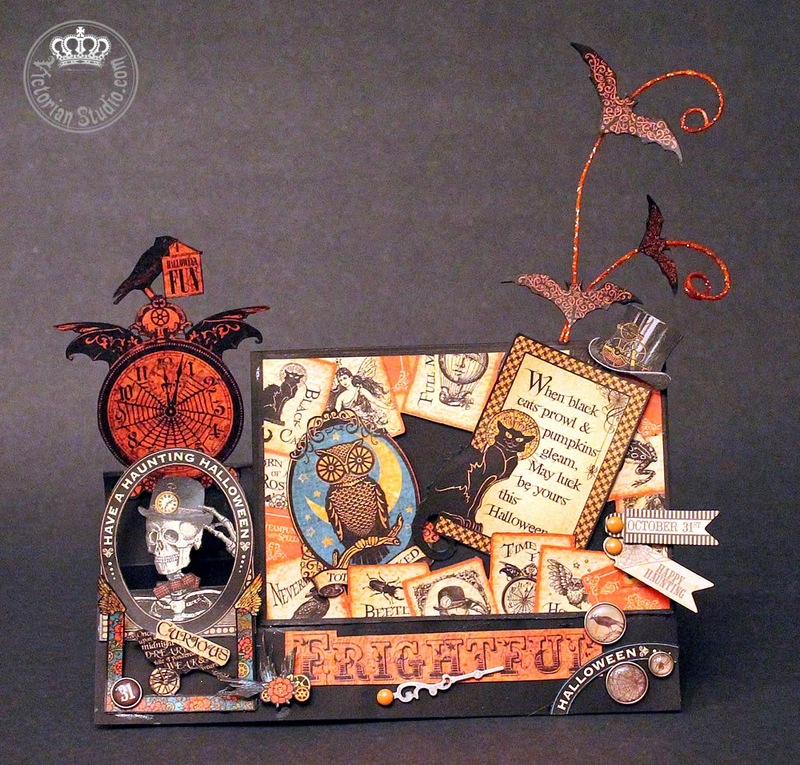 A spooky side-step tent card / table decoration using fussy cut images from the Steampunk Spells papers. Click for details here. 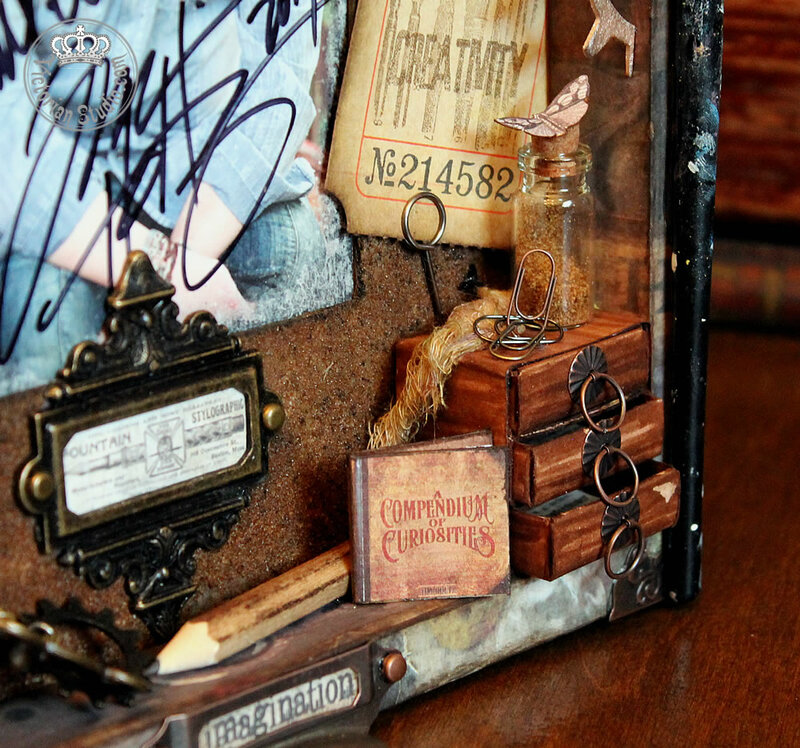 In this six-part series, I showcase my highly-detailed Halloween / Harry Potter inspired apothecary, using Graphic 45's Steampunk Spells paper. You can begin at Part One here. 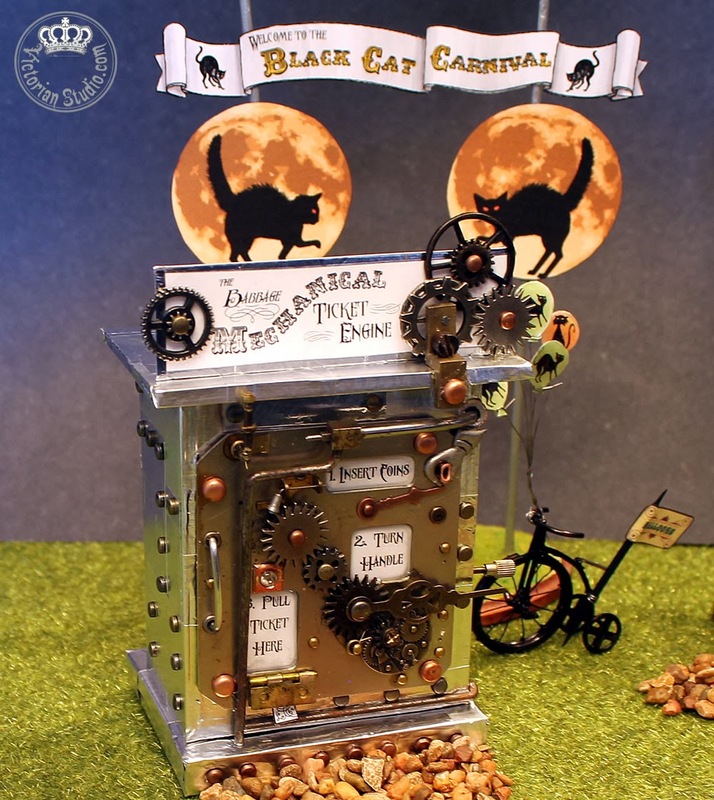 A Steampunk Halloween creation (in three parts). 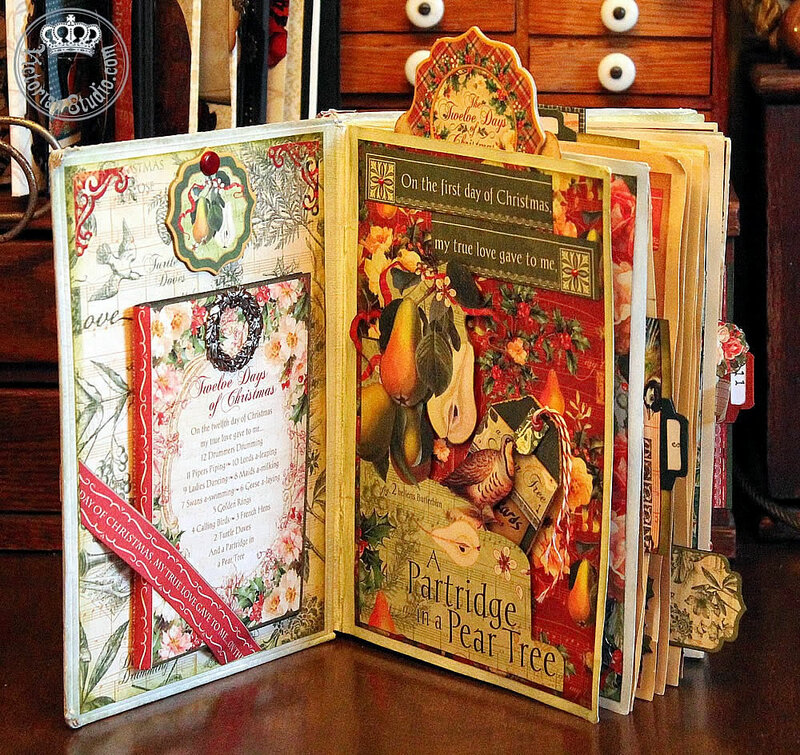 Although I didn't use Graphic 45 product on it, I wanted to include this popular project as well. 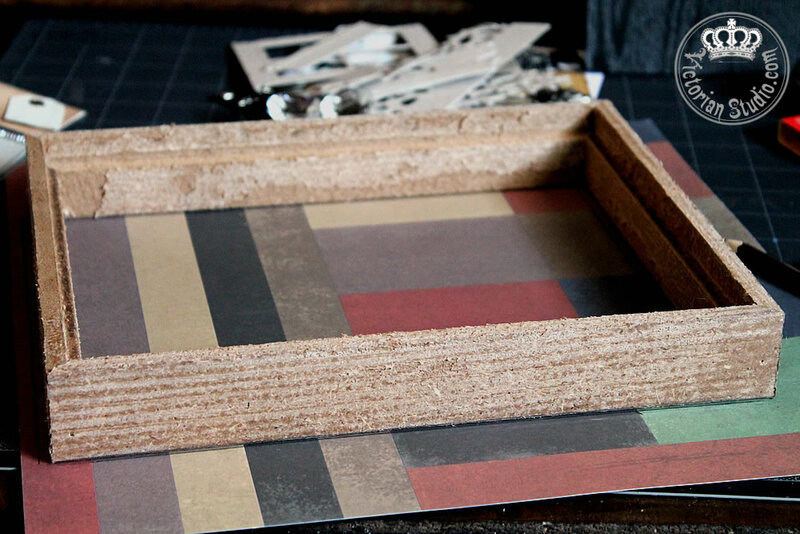 If you want to see how I made each piece, you can start at Part 1 here. Whew! That was a long post - thank you for hanging in there for the whole thing. To the Graphic 45 Selection Committee, thank you for your consideration of my audition. 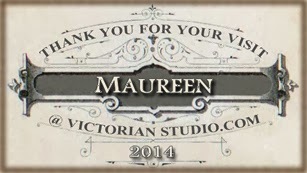 I do hope you enjoyed seeing just how much I love creating and using your wonderful products! I began working on A Very Special Project a few weeks back. 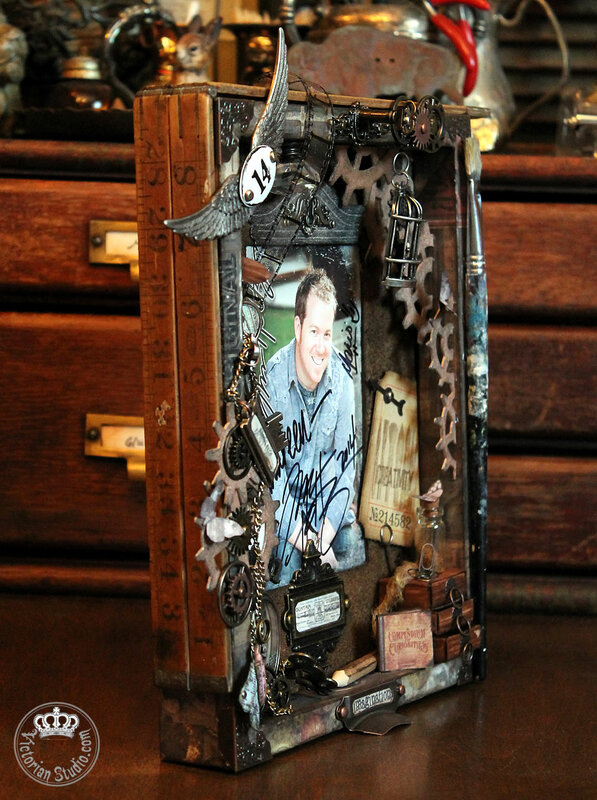 Orders were placed for Very Special Supplies to add to my already handsome Tim Holtz stash; some would be used, not all would fit. I found A Very Special frame at Goodwill; one that had a nice deep shadowbox style. Since I was going to recover it, the buckled faux wood was ripped off. ... and cut it out. I just need a single strip from another sheet to finish off the bottom. 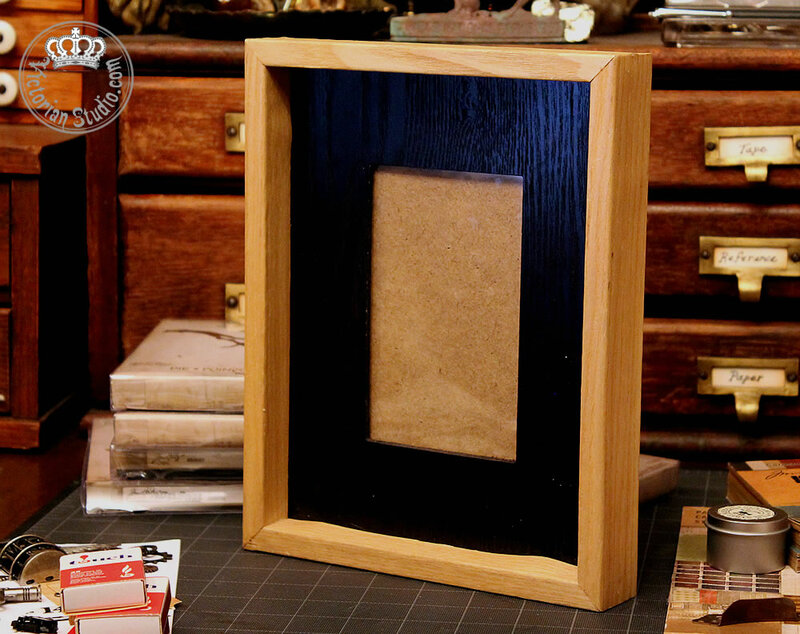 I removed the glass and glued the new cover on the frame, adding Ideology Corners and aged it even more with Walnut Stain Distress Ink. 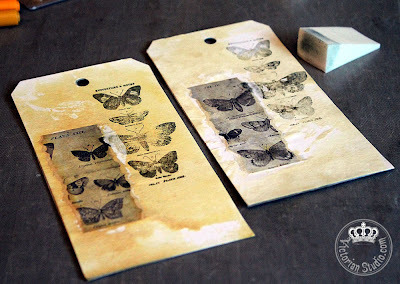 Distress Embossing Ink and Distress Vintage Photo Embossing Powder and Walnut Stain Ink were used to create a rusted photo mat - as Tim instructed in his Compendium of Curiosities book (Vol. 1, page 45). Now I had to decide amongst far too many cool treasures exactly which ones to use and where to place them in the box/frame. 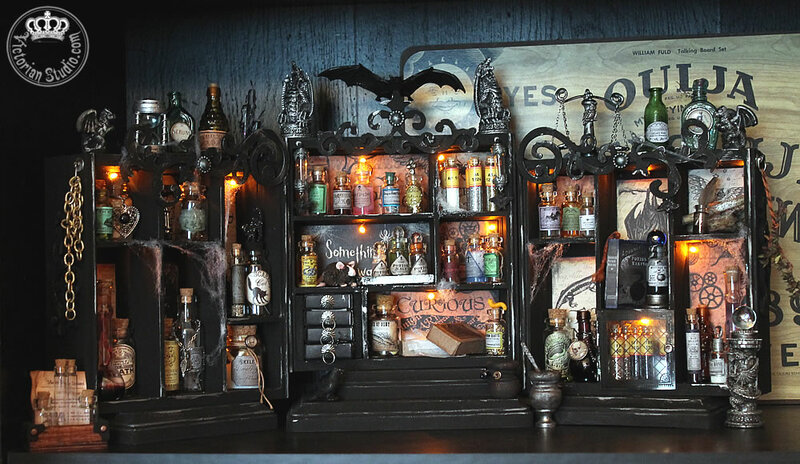 I began by creating a mini cabinet out of 3 matchboxes (cut in half to fit). Three drawers were lined with teenie vintage newspaper ads from Tim's Crowded Attic paper. 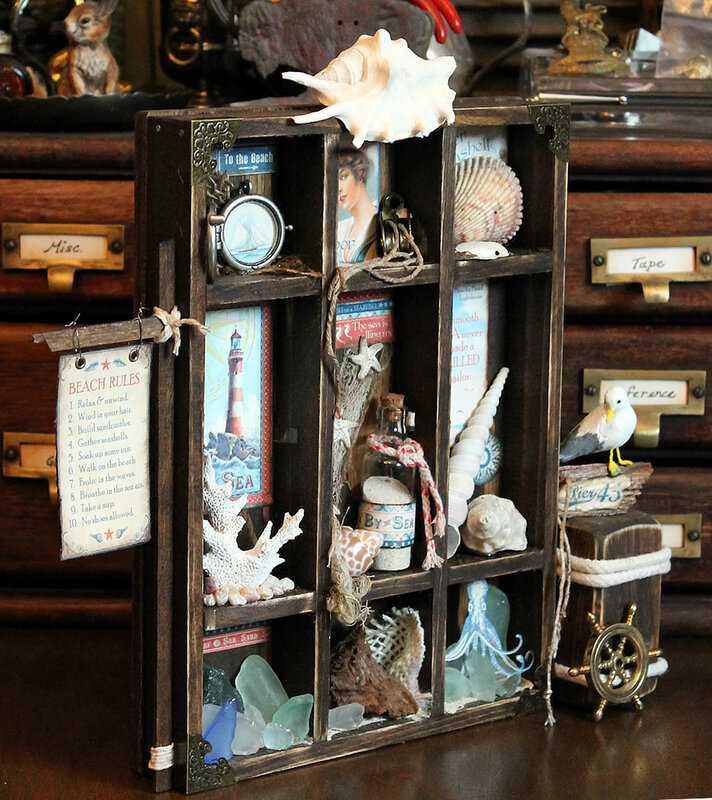 I used his Vintage Photo Distress Marker to make the woodgrain effect on the outside of the miniature cabinet. Why is this such A Very Special Project? Isn't that awesome? 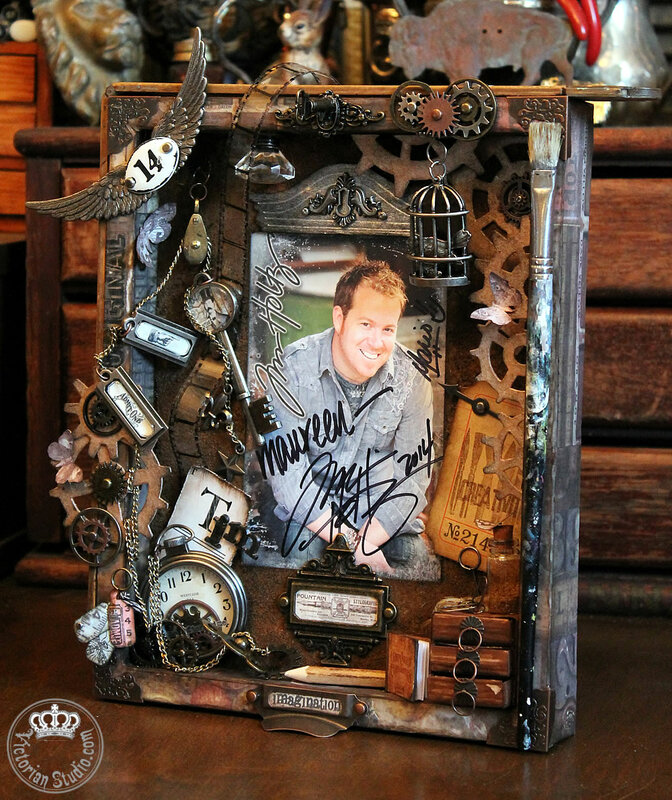 I was so thrilled to have both Tim Holtz and Mario Rossi's autographs, that I knew I had to give it the frame it deserved.... filled with his wonderful products! To show how much Tim has inspired me, I also wanted to incorporate some of my own actual artist's tools into the design; a used paintbrush, pencil, and a vintage wooden folding ruler. 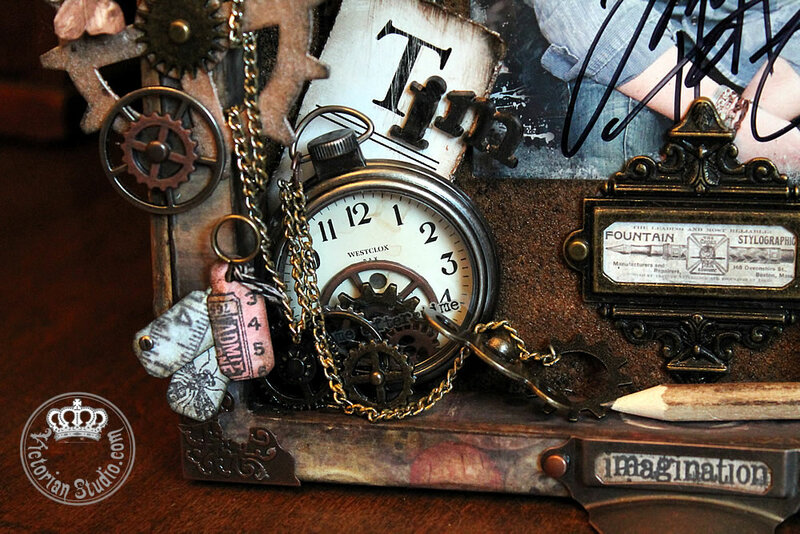 Of course because I adore Steampunk, I couldn't help but add lots of his gears and chain to it too. An Ideology Ornate Plate frames a vintage ad for a fountain pen - again from the Crowded Attic Paper Stash. 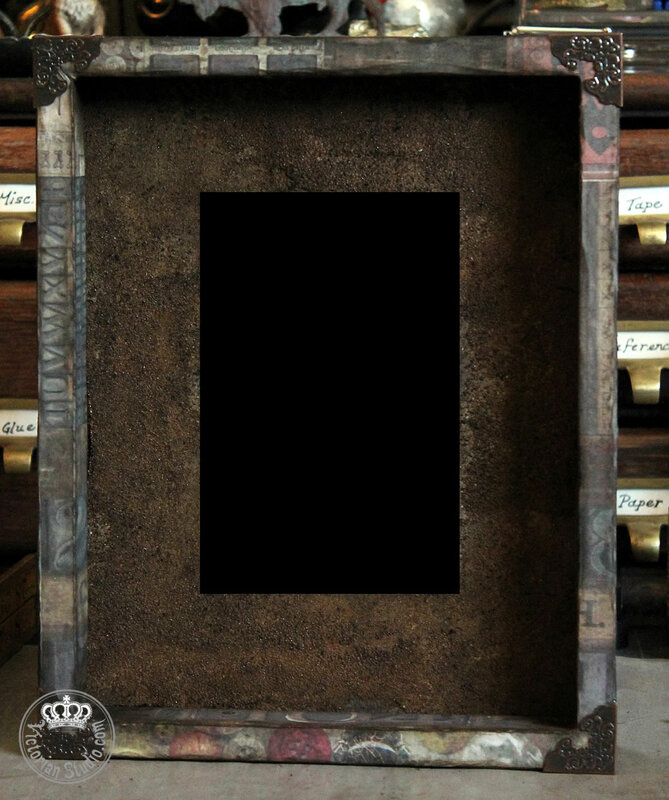 A Metal Label Pull has a stamped image from his Stampers Anonymous Visual Artistry Collection and was added to the bottom of the frame. 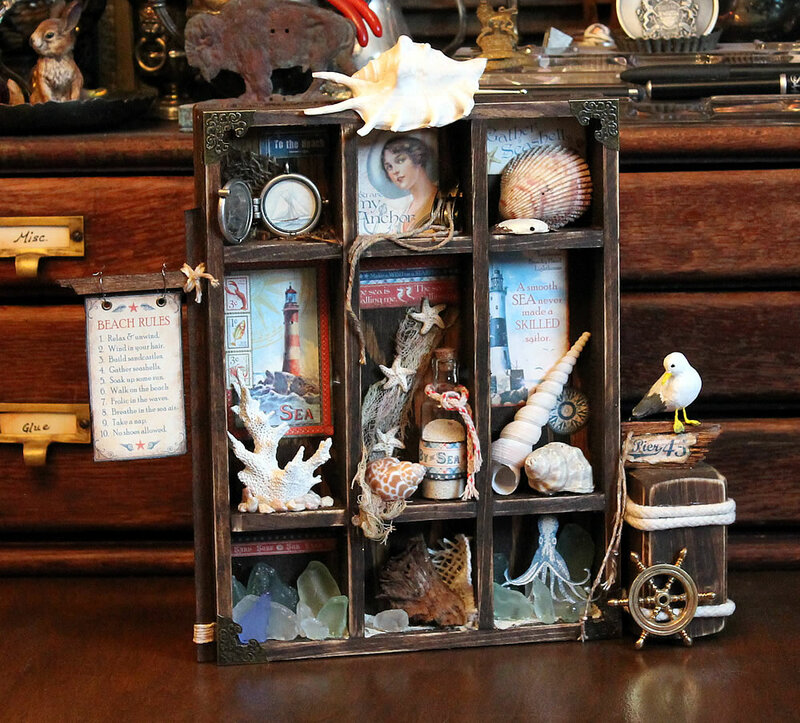 A mini-diorama with a one-inch version of A Compendium of Curiosities... and yes, those drawers do pull out thanks to his Ring Fasteners. Three Mini Paper Clips and a small Corked Vial has Distress Embossing Powder inside. A moth perches atop it (there are four moths in all - fussy cut from the Crowded Attic paper). A Memo Pin holds a Journaling Ticket stamped with two images from the Stampers Anonymous Random Thoughts set. An Ideology Game Spinner is attached at the top with a brad. Here's a closer look at the lower left section. Tim's Pocket Watch has a real vintage watch face added and loose gears in front roll around inside when shaken - so I made the watch removable from the frame. 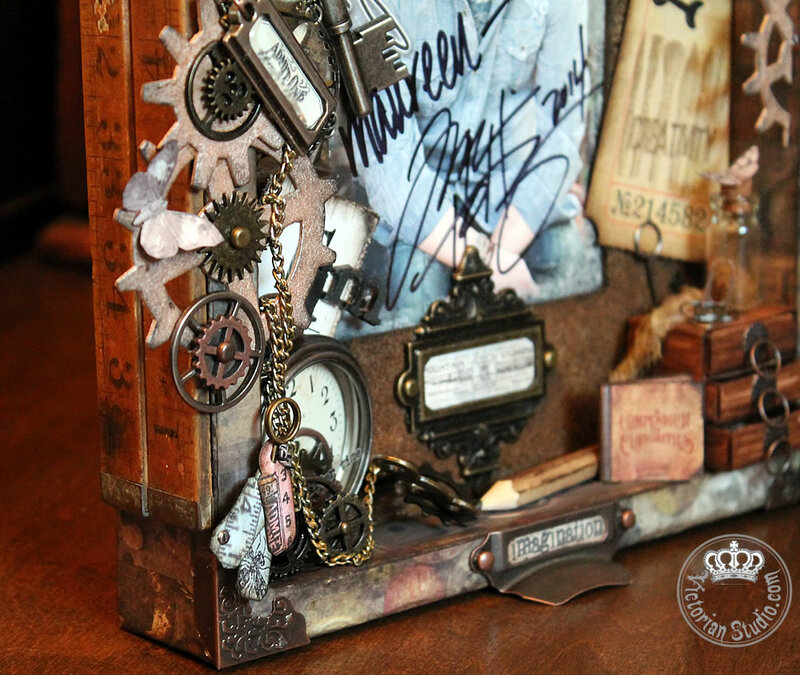 I added "time after time" from his Words Remnant Rubs on the glass and used more Sprocket and Mini Gears and a Clock Key to hold it in place. An Ideology playing card has two letters from the Ransom Alpha Parts added and was distressed and tucked behind the watch. Of course, I HAD to add three teenie tags to the design; I die-cut the shapes from Tim's Tiny Tabs and Tags Alterations Bigz Die, coloured with Distress Inks and a spritz of water using the Mini Mister, stamped images from the Stampers Anonymous Random Thoughts set, added a brad and baker's twine and skewered them all on a Memo Pin. 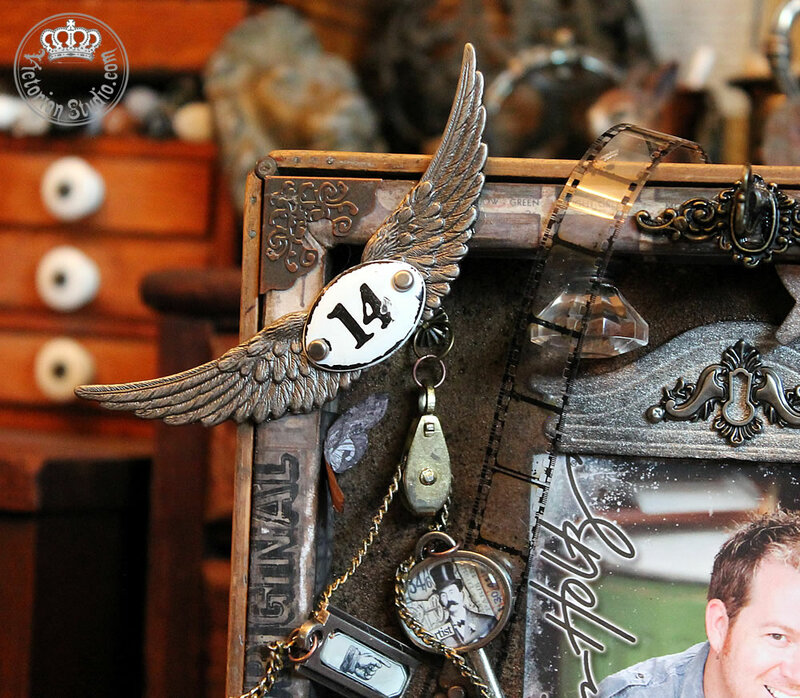 At the top, wings from Ideology's Regal Adornments set were attached to the Enameled Plaquette to mark the year. My Dad gave me that tiny brass pulley; perfect to hang a chain with more of Tim's pieces - a Collage Key, two metal Tag Labels and two metal Adornments (Ideology's Fleur de Lis and Star charms). 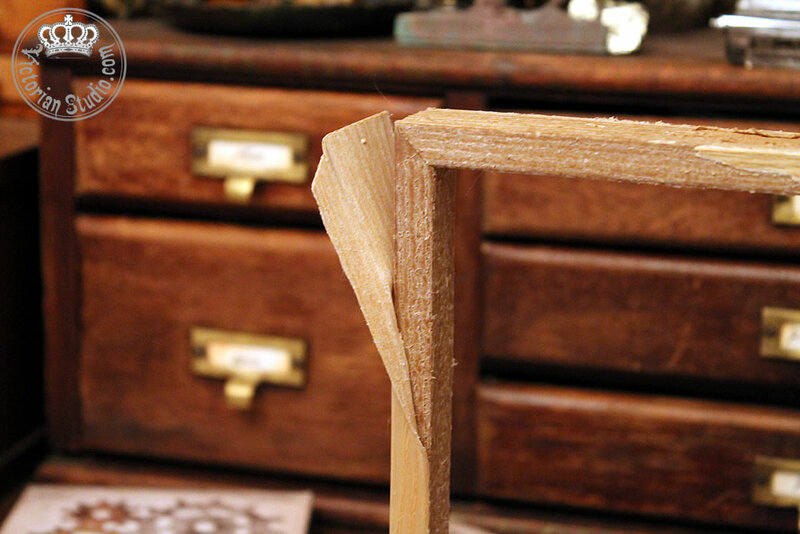 A long piece of Film Strip Ribbon was attached with two brads and curls up and over the top of the frame. 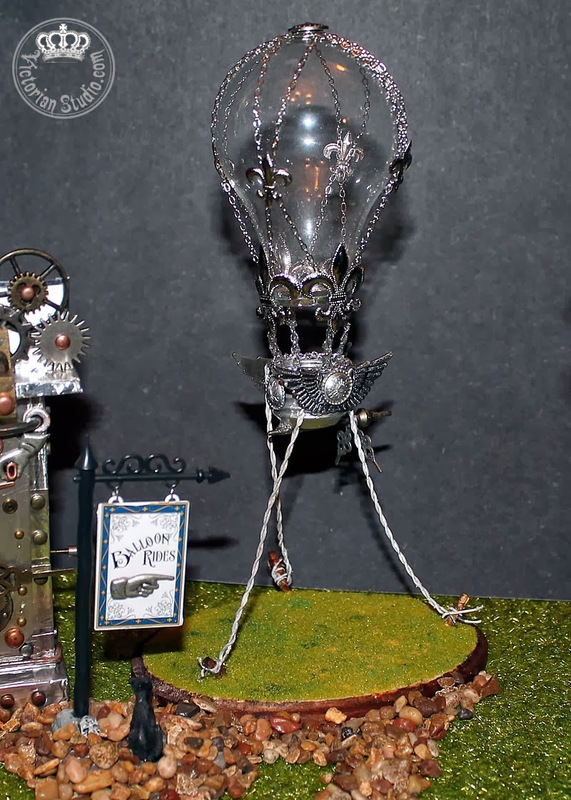 A Curio Knob is hung from the top as it reminded me of a chandelier light. 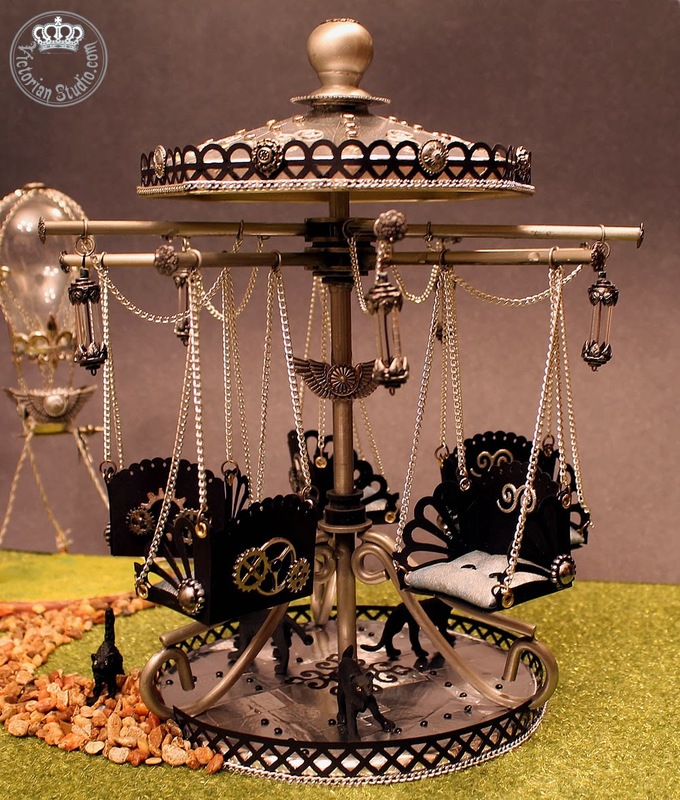 Tim's Birdcage houses a bird from another Adornment set and is hung from a Ring Fastener atop a gear that meshs with more Sprocket and Mini Gears on the outside of the frame. 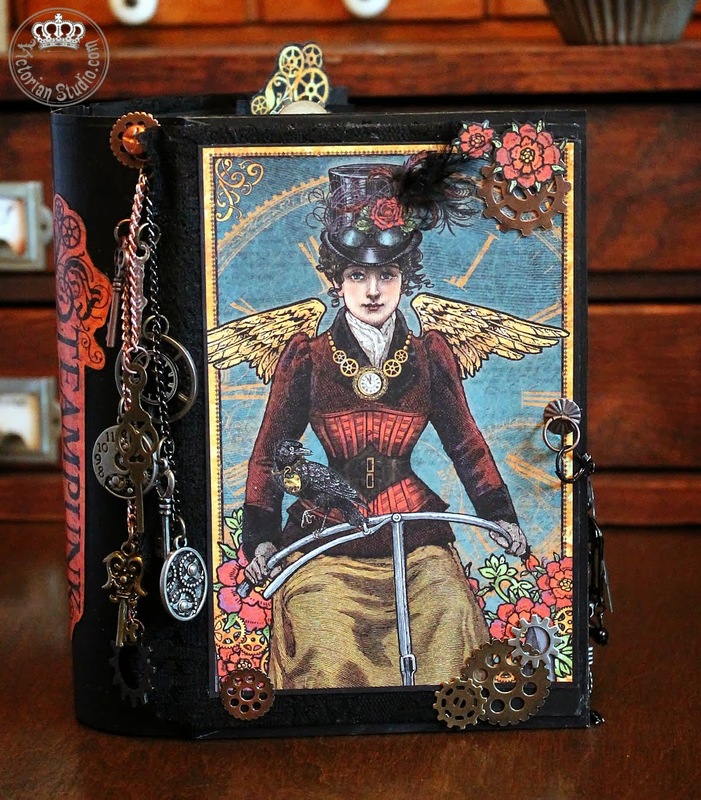 A Locket Key and keyhole were added to the frame top, and gears were die-cut in chipboard from both the Alterations Gadget Gears and Steampunk On The Edge dies. An Alterations Pediments die was also added; all were coloured using metallic Distress Stains and Distress Inks. Another Locket Key piece (keyhole only) was added to the Pediment diecut. I used Glossy Accents to attach the die-cut gears to the inside edge, spacing them out from front to back. 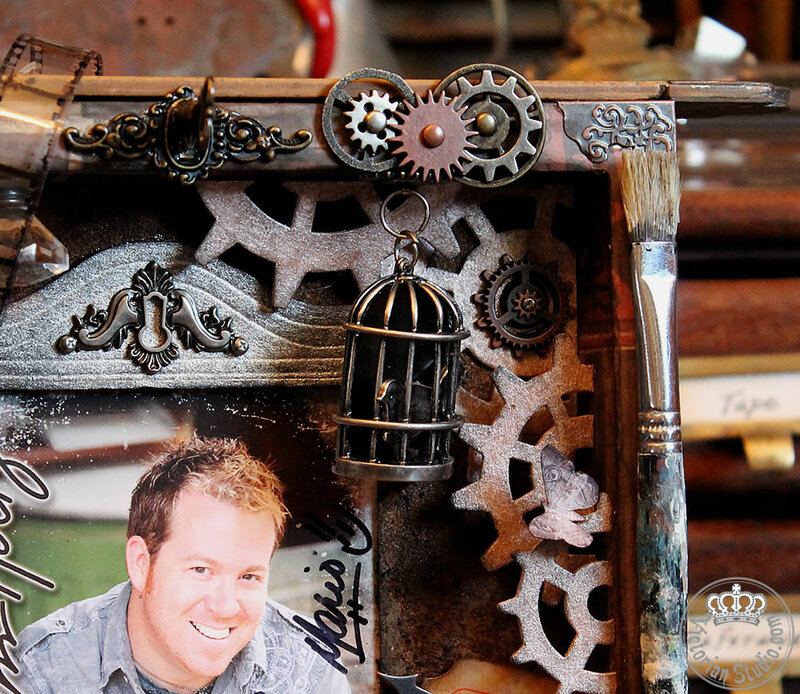 I probably could have made this piece the size of a whole wall if I wanted to include all the wonderful products Tim designs... but as it is, there are over 100 parts to this Very Special Project. Thank you so much Tim and Mario for this wonderful gift; it is an incredible addition to my Studio and a source of inspiration whenever I look at it! A Very Special Project from Two Very Special Guys.